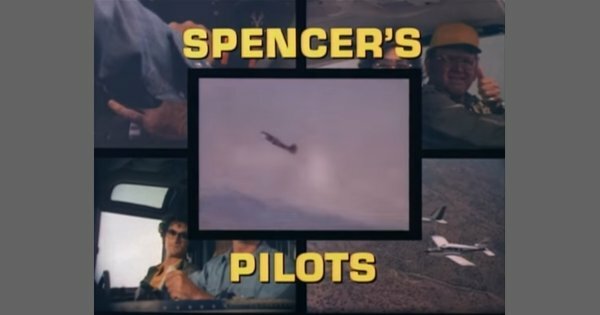 CBS Home Entertainment released the short-lived TV series Spencer’s Pilots on DVD earlier this month. The adventure drama starred Christopher Stone, Todd Susman, Gene Evans, Margaret Impert, and Britt Leach. It ran for two months on CBS during the 1976-1977 season. Pilots Cass Garrett (Christopher Stone) and Stan Lewis (Todd Susman) work for Spencer Parish (Gene Evans). They find themselves in trouble often and usually because someone or something interferes with their jobs and a series of adventure or misadventure ensues. Guest stars include Bill Bixby, Bob Crane, Barbara Bel Geddes, Pernell Roberts, Clyde Kusatsu, and Shelley Fabares. Has anyone purchased Spencer’s Pilots on DVD already? Is the pilot telefilm from April 1976 included? I kinda remember this show and unless he did a Love Boat, this was proably Bob Crane’s final appearance! Not sure about Love Boat, but Crane appeared on an episode of Hardy Boys/Nancy Drew Mysteries in 1977, so this show was not the last. PS Crane did a Love Boat AND a Quincy, ironically the one where Jack Klugman didn’t appear because he hated the script! Amazon recommend based on past orders. Very excited thus Order/Received with three days; however, upon trying to play these discs – message incorrect format; thus in less than 24 hours went from excited to very disappointed. It appears the discs are not for USA DVD Players. CBS is a legit company, not a bootlegger! You may have just gotten bad discs!